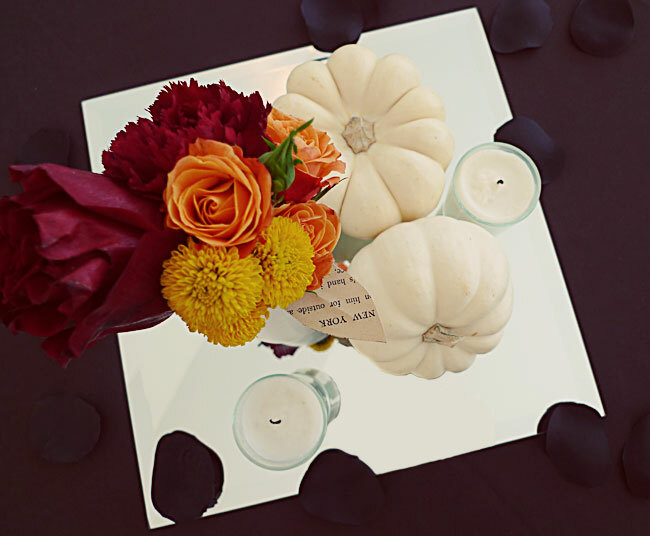 I heard from the bride the morning of the wedding that there wasn't much for the centerpieces, so I quickly threw these together using what I had on hand: mini white pumpkins, bud vases from Ikea, and leftover flowers. 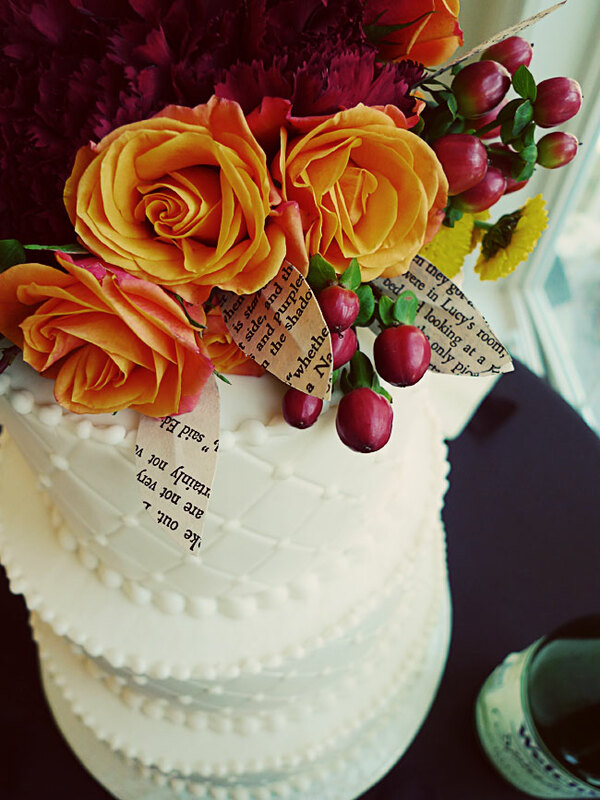 We used deep red roses, pink tipped roses, orange spray roses, yellow button mums, hypericum berries, burgundy carnations, and leaves that the bride had made out of paper. It was a small wedding, and the flowers were done on a budget, but came out looking like a million bucks. The addition of the paper leaves really ramped up the design. 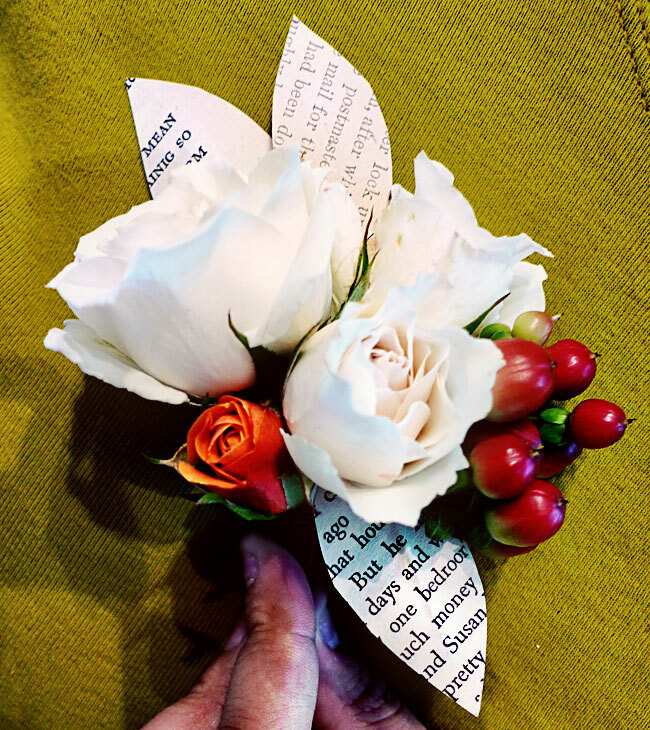 The boutonnieres were my absolute favorite, but of course I neglected to get a photo them. 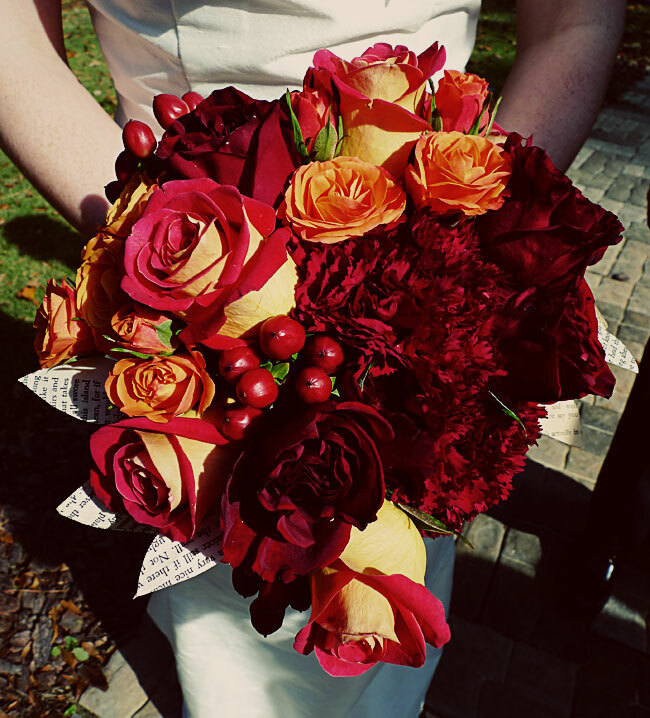 The bridesmaid's bouquets turned out darling as well, but again, no picture. Next time I'll try to get more photos, and some of the creating process too. The flowers were absolutely beautiful! You did a great job!